Clive James has excelled at many trades during his long career—critic, memoirist, television presenter—but his first and longest-lasting love has been writing poetry. His poems enjoy a high reputation with readers who value strict form, elegant diction and clear thought, and his delightful exercise in spite, “The Book of My Enemy Has Been Remaindered,” has a kind of cult status among writers. Now, as he nears the end of his career—he has spoken publicly about his recent diagnosis of leukemia and the prospect of death—Mr. 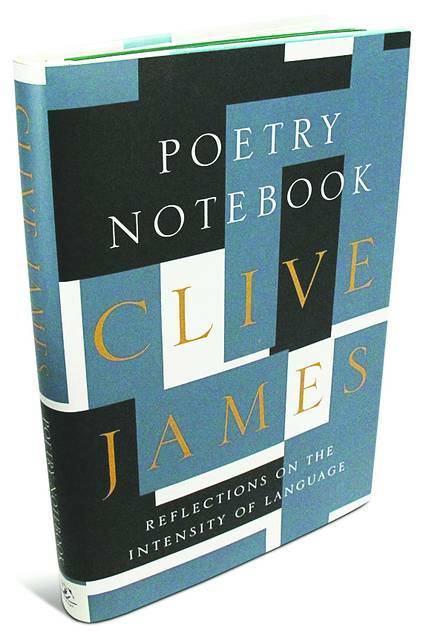 James has condensed the wisdom earned over a lifetime of reading and writing poetry into “Poetry Notebook.” These “reflections on the intensity of language” are not so much critical essays as free explorations in which Mr. James ranges through poems of many eras in pursuit of a central question: What makes a poem live? This is the kind of mystery that only gets more mysterious the longer you ponder it. To read contemporary poetry in any quantity is to realize that most poets spend a lifetime turning out competent verse without ever achieving the sudden flight, the inevitability and rightness of language, that makes a genuine poem. “I wonder if there can be any successful poem,” Mr. James writes, “which is not dependent on [the] ability to project you into a reality so drastically rearranged that it makes your hair fizz even when it looks exactly like itself.” Here he echoes the critical test of A.E. Housman, who said that he knew a line of poetry was genuine if it came to mind while he was shaving and his skin bristled. Mr. James holds the unfashionable belief that it is easier to say something in a memorable form if you pay attention to the form itself—that is, to rhyme and meter and stanza, the old-fashioned building blocks of poetry. He dismisses the “dangerous half-truth” that holds that “too much technique will inhibit creativity”; on the contrary, Mr. James believes, “there can be no putting together without technical assurance.” And as a reader of Mr. James’s own verse would expect, he is an excellent analyst of metrical poetry, putting a microscope on verses from Samuel Daniel in the 16th century to the Australian Stephen Edgar in the 21st and showing exactly how they use meter and syntax to create poetic effects. He has particularly high praise for Mr. Edgar’s “Man on the Moon,” which scans the night sky in Hardy-esque fashion..